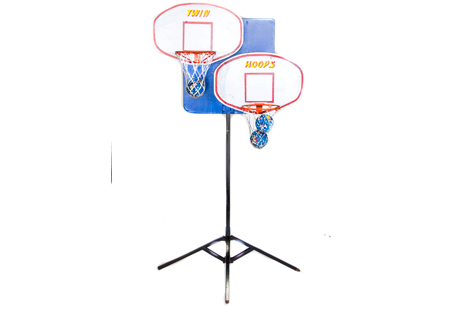 Player shoots two balls at basket at least seven feet away. One ball made in each basket wins first prize. All others win consolation prize.